Durham city is only 2 miles from the A1(M). 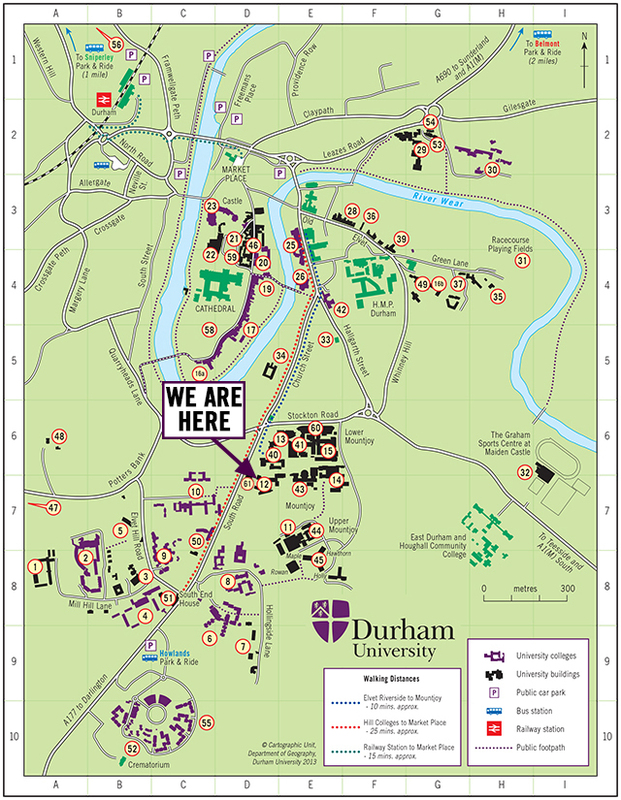 Leave the motorway at Junction 62 on the A690 (Durham/Sunderland) and follow signs to Durham city centre, then to the A177. There are several express coach services daily from most major cities. Durham is well served by both regional express services and the local bus network. From the city bus station - a short walk from the railway station - a bus service runs every 15 minutes past the University Science Site on South Road. Fast trains from most major centres in the country call at Durham daily including 14 trains from London. The National Express high speed service takes under 3 hours from London King's Cross on the East Coast main line. Durham is just over 3 hours from Birmingham, 2.5 hours from Manchester, 1.5 hours from Edinburgh and 45 minutes from York. 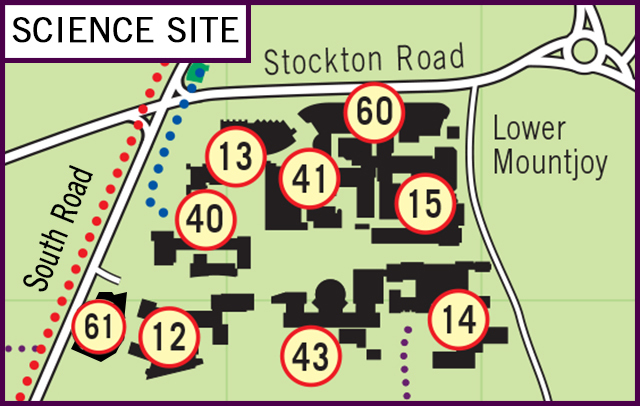 The taxi journey from the railway station to the Physics Department takes only 5 minutes (depending on the time of day) and the fare is normally about £3. Alternatively, you can walk to the Department (25 minutes) or take bus number 5 or 6 direct from the railway station (every 30 minutes during the day; journey time 6 minutes). Durham is 30 minutes' drive from Newcastle International Airport and from Durham Tees Valley Airport (formerly Teesside International Airport). Both have regular domestic and international flights. Durham is linked to Newcastle International Airport by rail and metro.